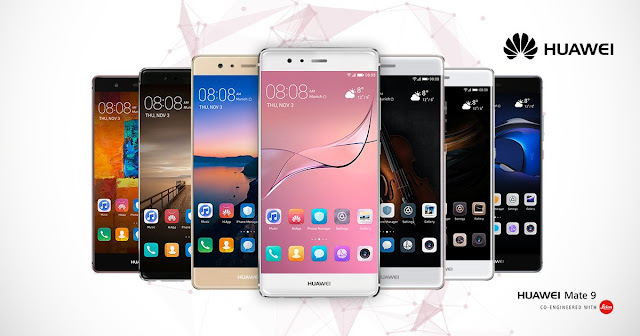 In a move that brings the worlds of technology and colour closer together than ever before, Huawei Consumer Business Group and The Pantone Color Institute have partnered to feature the latest trend colours in Huawei’s upcoming product launches. By combining Huawei’s advanced engineering expertise and industry leading metal craftsmanship with the trusted colour thought leadership and direction of The Pantone Color Institute, consumers can look forward to devices that seamlessly marry ground-breaking innovation together with stunning beauty. As the world’s third-largest smartphone manufacturer, Huawei CBG debuted on the prestigious Interbrand Best Global Brands list in 2014 and rose to number 72 in 2016. This partnership with The Pantone Color Institute looks to build on the success of recent devices, including the Huawei P9 and P9 Plus which have exceeded 10 million global shipments worldwide. The Pantone Color Institute collaborates with brands around the world to help them leverage the power, psychology and emotion of colour in their design strategy. A unique destination for colour, the Pantone Color Institute forecasts future colour direction, expressing how colour influences human emotion through seasonal trend forecasts, custom colour creation and social commentary, including PANTONE Colour of the Year. Through this exciting partnership with Huawei, The Pantone Color Institute will continue to explore the language of colour to bring Huawei customers the most striking and on-trend colourways in the palm of their hand. More details and information about the partnership between Huawei and The Pantone Color Institute will be announced at the Huawei CBG press conference taking place at Mobile World Congress, Barcelona, on Sunday 26 February. Through The Pantone Color Institute, Pantone continues to forecast future color direction and study how color influences human thought processes, emotions and physical reactions. Pantone furthers its commitment to providing professionals with a greater understanding of color and to help them utilize color more effectively. Always a source for color inspiration, Pantone also offers designer-inspired products and services for consumers. More information is available at www.pantone.com. For the latest news, trends, information and conversations, connect with Pantone on Instagram, Facebook, Twitter, and Pinterest.